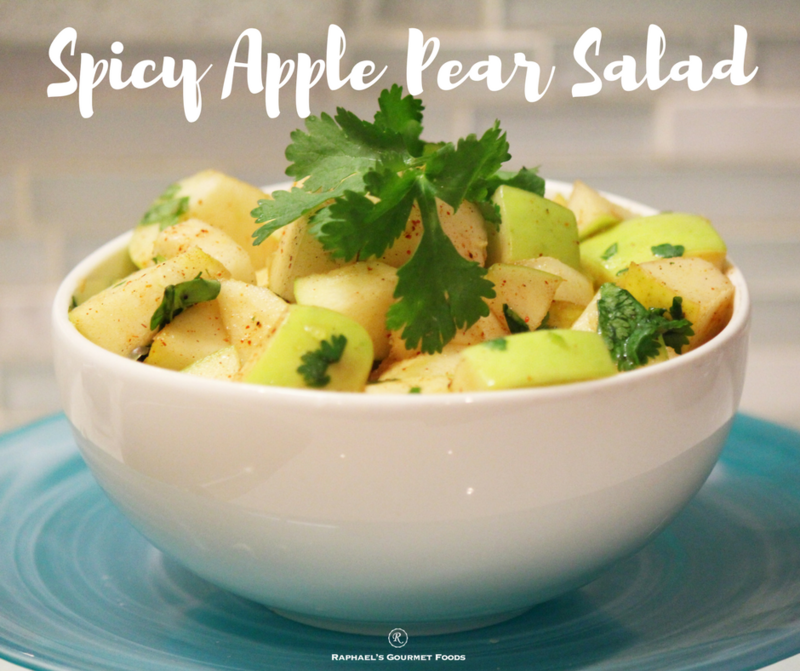 This refreshing fruit salad has a great blend of sweet, salty, and spicy flavours. Squeeze lime juice over apple and pear cubes immediately after cutting the fruit. Sprinkle salt and chili powder to taste; add cilantro and mix combination together.